JM Lifestyle - this lovely pattern differs splendor, is designed for Joomla 3.0. He is represented by a professional team of specialists Joomla Monster. Can work on the framework, EF3 Framework, is powerful, includes a modern web technologies, adaptive functions. There is a built-in template manager management, good code optimization and significant speed when downloading. Its design includes three preset color themes. It also contains unique styles typography, which are applied by using CSS3. Layout template uses functions from the platform Bootstrap grid system, can provide a modular management positions. 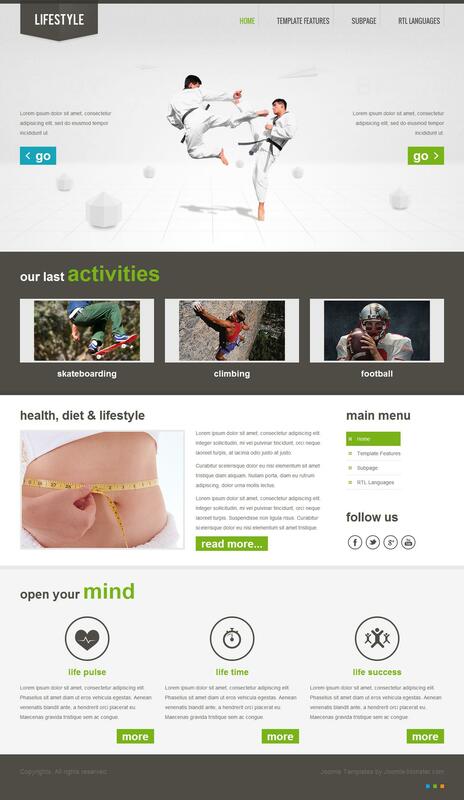 It is perfect for work performed to create sites with different themes and functional structure.